As expected a new line of macbooks dropped today and they do look fantastic. For the djs however its a mixed bag of blessings. 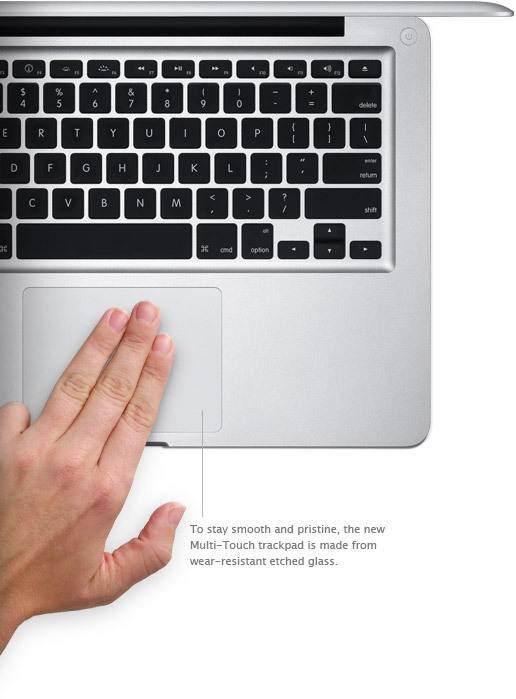 as predicted mac has introduced the multi touch performance of the ipod into their touch pads on the macbook. Several years ago there was an app that converted mouse pad actions into midi and if someone manages to do this with multi touch it could be a very powerful tool for djs. usb makers are rejoicing and the firewire folks may be cringing. There is no fire wire port of any kind on the 13″ model. I am sure there will be some express card slot adapters for firewire 400 but the 13″ model looks out of luck. the specs looks better but not entirely mind blowing either. Gizmodo has an insane amount of posts including some hands on action with the new computers.